For many of us, anime is where we are first exposed to Japanese music. 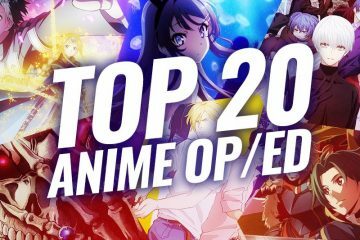 In respect to that, some artists make their first breakthrough with anime. A song used in an anime can be dubbed as an anisong. 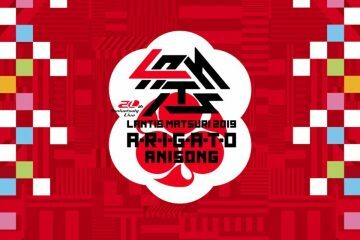 To celebrate this unity between Japanese animation and Japanese music, Anisong World Matsuri is an event held across the world at different dates for different anime conventions. 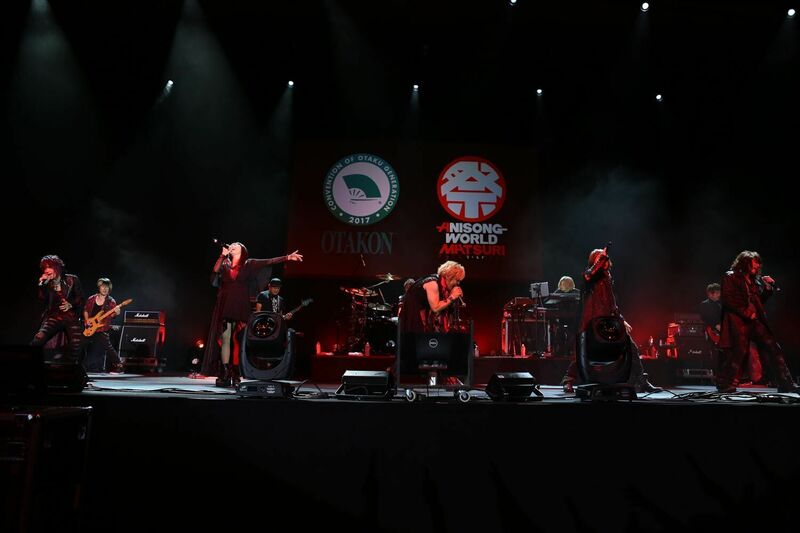 I have been fortunate enough to have now attended three nights of this event with JAM project being the first band I saw at Anisong World Matsuri and the first band I saw at Otakon’s Matsuri. 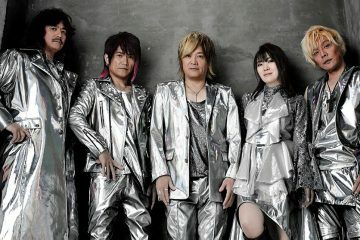 JAM Project is band composed of singers who all have their own very successful solo careers and come together from time to time primarily to perform for the sake of anisongs. 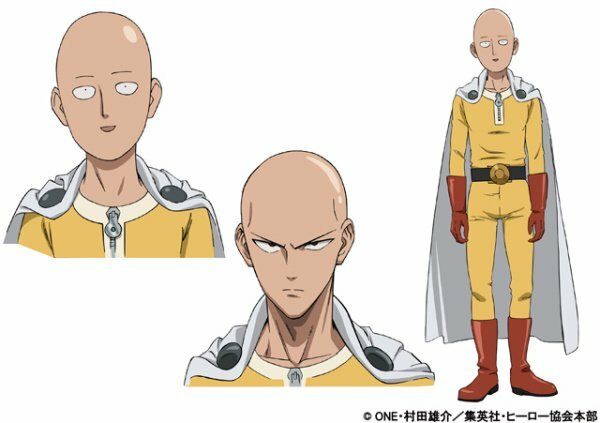 Most recently, they have received recognition for their contribution to the popular anime series ONE PUNCH MAN. T.M.Revolution is the project of Takanori Nishikawa with a history deeply rooted in the culture of anisong. T.M.Revolution’s works have also been featured in popular anime such as Rurouni Kenshin, Bleach, and Gundam. The night began with the performance of JAM Project. JAM is always a crowd pleaser from my experience. How could they not be with the outrageous amount of vocal power and talent shared between their six vocalists? 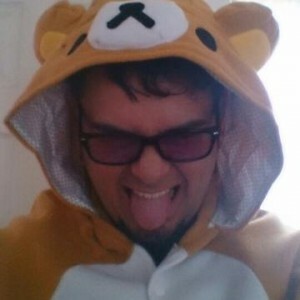 With the sixth member being the Brazilian part-timer Ricardo Cruz. Furthermore, they are not just vocally talented but they are indeed true performers. There is never a dull moment on the stage when you have each member taking their turn in the spotlight and singing in unison at other times. No matter who you have your eye on, you are in for a great time as JAM project is there to please. Their set seemed to really pick up with the surprising selection of the song Garo ~Savior in the Dark~. This was surprising because despite there being an animation adaption of Garo, JAM Project played a song-specific to the original live action series of Garo. The rest of the setlist consisted of songs adapted from anime. What made this a highlight was the switch from mismatched colored glow sticks in the crowd to all gold to match the armor color of the legendary Makai Knight, Garo. At that moment the audience and the band were in unison and set the tone for the rest of the night. Vocalist Endoh Masaaki closed out the performance of this piece by reciting the chorus one last time. 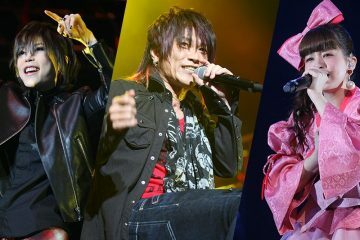 Excitement rose through the night as JAM Project continued to play some of the most noteworthy songs in the anisong world. However, as it seemed that the fans energy began to wane, band leader, Hironobu Kageyama, posed a question to fans. “Who was your first hero?” while reminiscing and yelling out the name of their heroes, JAM took the energy of their fans and channeled it into an explosive performance of THE HERO, the opening theme song from ONE PUNCH MAN. A fan favorite the first time I saw them perform and equally well received this time around. JAM Project is a band of seasoned professionals with complete control over the audience. They can get a whole room of people singing in a language they don’t know motivated only by their love for a bald man in a yellow suit. And by the end of the night, you will be left shouting “MOTTO, MOTTO” (MORE, MORE)! 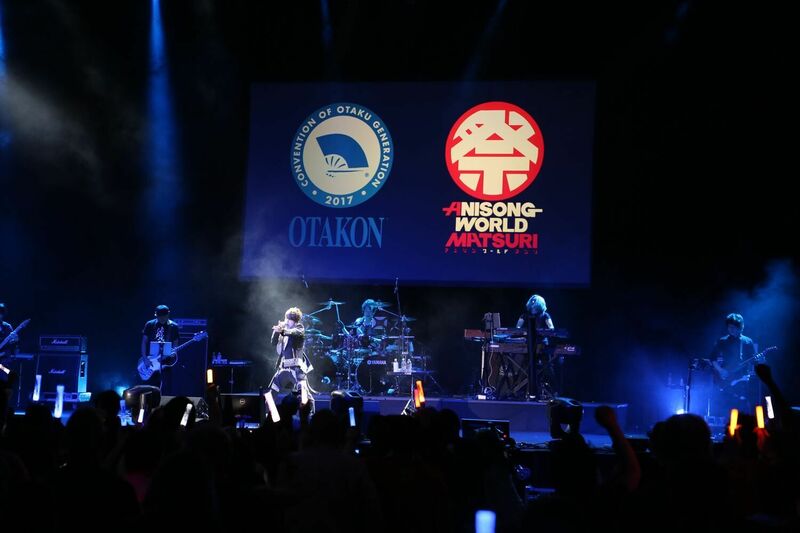 However, this time around, fans were in luck, this was just the beginning of their night at Anisong World Matsuri. After a negligible intermission, T.M.Revolution took the stage and immediately reignited the burning desire in the hearts of fans. This was my second time seeing Takanori perform and was equally as enjoyable. Takanori has a unique bond with his audience. I can recall fans dancing and having a reaction to just about every note in every song performed. Additionally, they respond to every word he has to say while on stage. Takanori made sure to pay his respects to the capital of the United States. During an interaction with the crowd, fans started chanting U.S.A. as we Americans are known to do. However, Takanori made an interesting move here and was quickly able to get fans to chant T.M.R. In the capital of the nation, was a room filled with people chanting T.M.R. I am sure he saw the irony in this, as he resumed the chant in other parts of the show and would flip-flop between U.S.A. and T.M.R. However, the fans there were clearly more interested in T.M.Revolution than anything else. Takanori drew more attention to himself when he stripped off his vest and jacket and exclaimed: “Oh no, I’m naked”. Just before his last song, Takanori gave a small speech. It was fitting as this upcoming song was a big part of what launched him into such a great success and garnered him a great deal of attention early on in his career. The song I am talking about is Heart of Sword, from Rurouni Kenshin. While T.M.Revolution is able to attribute it to a large part of his success, as I mentioned before, anisongs is how many of us are exposed to Jrock. For myself, Heart of Sword was where I found my love for Japanese music. This made for an excellent finally not just for myself but for T.M.Revolution as well. Still, this was not the end. At the end of the set, after a bout of cheering and pleading for an encore, JAM Project took to the stage once more. Even more surprising was that Takanori himself came out to join them. It became clear at that time that fans were going to experience a collaboration between these artists. The song chosen for this occasion was JAM Project’s SKILL. A fitting song because of the energy it has. The powerful vocals of JAM and Takanori were a real treat. Takanori, of course, owned the performance as though he had always been a member of JAM Project. Fukuyama, seemingly out of nowhere, had obtained one of the glow sticks that the crowd had been using to cheer on the performance and had his own creative dance going on.